For some, it’s a fictitious world. But for Debra Stone, it’s everyday life. After a chance encounter with a man she enjoys throws her down a path she almost can’t believe, she struggles to cope with her newfound purpose. Ushering souls into the afterlife – it can’t be real, right? But the men who catch her in the act are real. And their adoration for her is very real. Can Debra deal with her radically successful business, help others before Death takes them, and still have a love life? Or will it all come crashing down around her? Grab a glass of wine, and listen to Debra’s story. Just be careful when drinking – the laughs can be dangerous! When you’re mated to an immortal vampire, love is forever. Literally. Immerse yourself in the vampires’ quest to find the reincarnated spirits of their lost loves before a demonic force sows darkness across the world. Get three books (more than 27 hours of listening) for a single Audible credit. From a USA Today bestselling author! 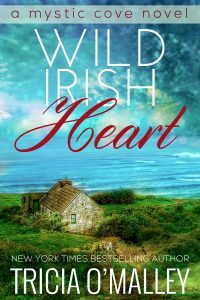 From a New York Times bestselling author comes a mystical romance set on Ireland’s rocky shore: When grad student Keelin O’Brien travels to a small village to meet her grandmother, she discovers her own strange powers — and Flynn, the man who haunts her heart. Lily Douglas never ran from anything and she’s not about to start now. As a private detective, this curvy woman has seen the worst side of people. What’s the point in love if the guy always cheats? So when she meets two hockey players on an undercover mission who are as attractive as they are secretive, she knows it can’t lead to anything good. But is it a crime to want to find out? Crash and Connor Rawlins are tabloid darlings, and not by their own choice. The werebear twins messed around with the wrong woman, and she knows exactly how to turn it into cold hard cash. With more than a little to hide, they’ve decided on not chasing any more tail… But what happens when a woman comes along who they just can’t say no to? Will these three learn to trust one another, or has this game been decided before it ever began? Find out! Amy Marguiles is a curvy, confident woman with nothing to lose. As an ex-Marine and a member of an elite clean-up squad for The Firm, she’s used to dealing with big egos on even bigger men. It has never bothered her before. Only when two maddening werewolf twins blow into her life do the winds start changing. And when she discovers she’s pregnant with their babies and sent off to another mission that could take all their lives, Amy needs to take quick stock of her life. Where do her loyalties lie? With her job? Or with something that could be more than just another obligation? Price and Prowler Renard are not family men. The two ex-SEAL werewolf twins have been running through life, shooting first and asking questions later. When a woman sweeps them both off their feet, they’re entirely unprepared for it… and entirely ready for more. As quickly as she appeared, she disappeared as well, and now their bosses and the vile men controlling the wold seem hell-bent on keeping them apart from their fated. When they discover that they’re not only missing her, but their heirs as well, nothing could stop these two from claiming what is theirs. Their future. And their present. Twice the Pups is the fourth book in the Shifter Squad Nine series. There’s no cheating, a guaranteed HEA and plenty of steam. It can and should be read as a standalone. 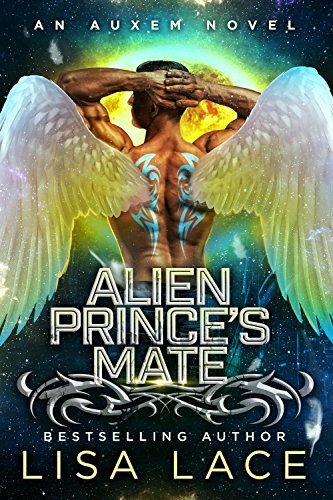 If you want your Alphas hard and dangerous and your heroines capable and curvy, this is just the book for you!